Daytona International Speedway is the home of the most prestigious race in all the NASCAR Sprint Cup Series — the Daytona 500. Built in 1959, this monster speedway has an 180-acre infield, 29-acre man-made lake, and a tri-oval course so fast that it’s one of two tracks on the Sprint Cup Series circuit that uses restrictor plates to slow the cars down (the other track is Talladega). Though there have been numerous improvements to NASCAR’s favorite track, plans were released in January 2013 to revamp Daytona International Speedway, adding five modern entrances, a second pedestrian bridge, more concession stands, ticket gates, and common areas to watch your favorites fly by. 2013’s Daytona Speedweek kicks off (romantically) on February 14 at Daytona International Speedway, starting a 10-day schedule of racing and ending on February 24 with the Daytona 500. The first few races weren’t 500 miles long! They didn’t increase the distance until 1961. 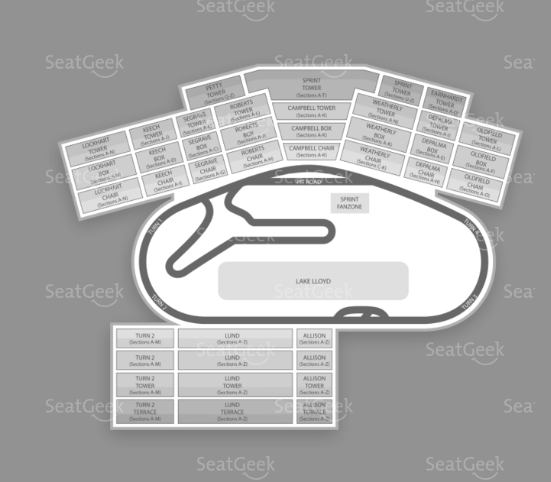 90% of the venue can be seen from any seat, meaning there isn’t a bad seat in the house — that’s good planning. 500 miles at the Daytona International Speedway means 200 laps. What does 500 miles mean? 400 left turns and 200 left bends. The amount of right turns? Hopefully none! Hope the drivers took a bathroom break before the race starts —the average race is three hours. The widest winning margin? Two laps, by Richard Petty in 1973. The smallest? Two feet, by Lee Petty, in 1959. The late Dale Earnhardt finished all 500 miles of the race more times than anyone else (14, to be exact). Want to experience the NASCAR Sprint Cup Series’ most famous race? Look for tickets! The Daytona 500 Lineup Has Been Released!